Sculpture Size: 16 X 9.5 X 3.75 in. 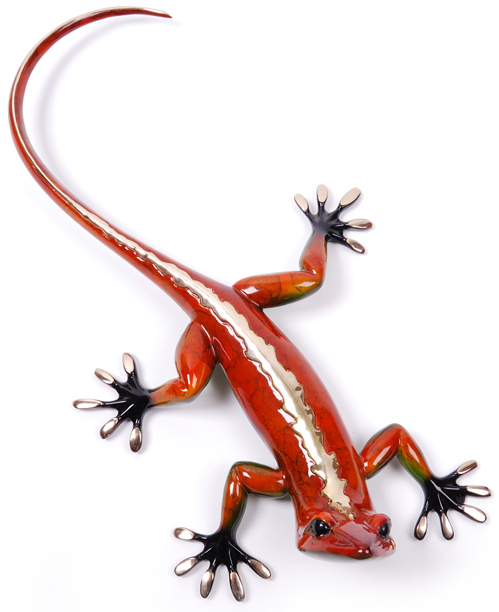 The largest bronze gecko, “Diablo” has wonderful polished bronze arrow sculpting on his back. His patina is rusty orange on top and a lovely green on his belly. This gecko has a commanding presence and a steely eyed look in his eye! His built-in hardware makes him ready to hang.